Following the events that happened on the premiere episode, the team must now face the consequences of the action they made in the previous episode. The second episode is entitled "Heavy is the Head". Pretending to be dead so that Creel will not kill him, Lance Hunter is captured by the military and offered by Talbot to join his crusade against Coulson. 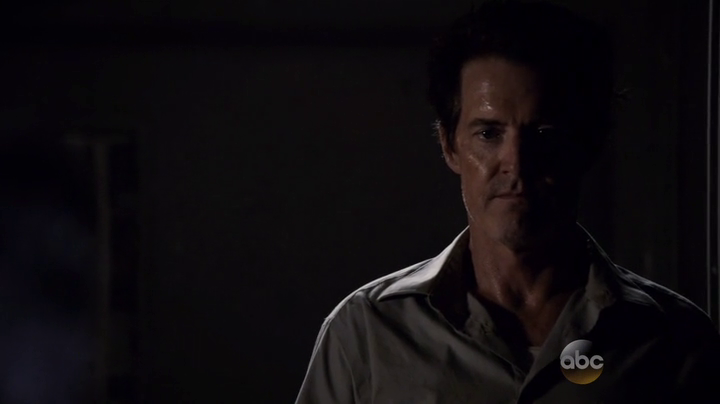 He asks Talbot for money and proper funeral for Hartley in exchange for S.H.I.E.L.D. Meanwhile in the base, Coulson knows Hunter's arrest and prepares for the worst - burn the base and evacuate. With the new quinjet in the base, Al Mackenzie and Antoine Triplett works on reversing the cloaking technology to be applied on the bus. While Fitz declines to join, he comes across Creel DNA report and thinks he might have a way to fight him. Melinda May tries to follow Creel but the latter appears to have acquired the powers of the obelisk and ends up hurting a civilian. Mackenzie tries to interact with Fitz while trying to work for a weapon against Creel. With somebody he can talk to, this minimized him talking to imaginary Simmons and was able to find the weapon that will work against Creel. 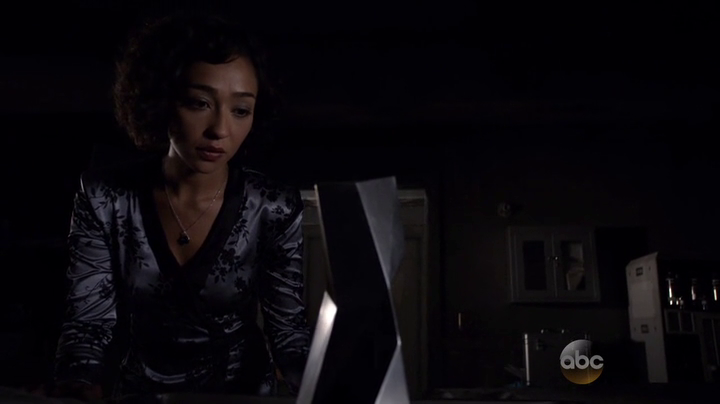 Raina (Ruth Negga) contacts Coulson on where to find Creel. When the team finds him, Hunter goes against the plan and tries to finish him but his plan backfires. Creel was disabled when Coulson uses the weapon created by Fitz. Coulson offers Lance Hunter to work for S.H.I.E.L.D. so that he'll have skilled assets on the field. Then Hunter "sells out" Coulson to Talbot but it appears that Coulson got the upperhand with cloaked quinjets and handed Creel for them. At the last part, Agent May sees an improvement with Fitz with the help of Mackenzie. 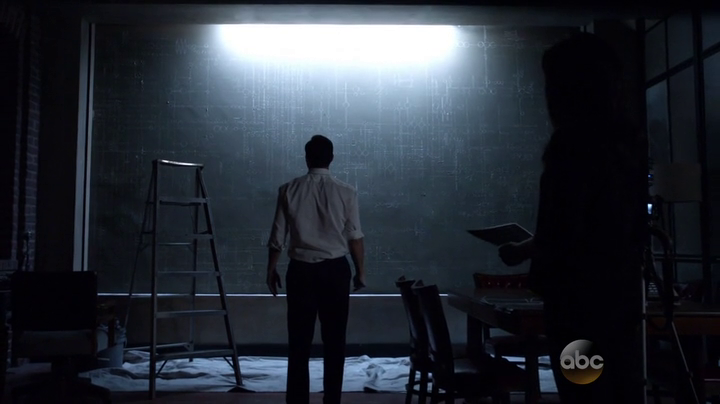 She then supervises Coulson's to do the draw the mysterious diagrams in the wall. Meanwhile Raina, who has now the obelisk was asked by the man to hold it and was able to hold it without being petrified. With the bad things that happened in the premiere episode, I think S.H.I.E.L.D was able to get some score here, although they were not able to acquire the obelisk which is now in the hands of Raina, who is with another group with their own agenda. This keeps getting complicated as the new group arises and we can not tell if thay can be good guys or bad guys. Creel's power is absorption of the material he touches and takes pleasure in it. With this he also absorbed the powers of the obelisk. It seems that he needs full concentration to transform into the material he absorbs. He seems to have the capability to permanently absorb all the things he previously touched. With the carbide ring Raina gave him, he is now indestructible. Thanks to Al Mackenzie, it looks like Leo Fitz is getting better with his condition. His imaginary Jemma Simmons sounds negative and should not be trusted. The tool used by Lance Hunter to cut the stuck door of the vehicle looks like a standard tool for S.H.I.E.L.D. operatives. It was also used by Nick Fury when escaping an overturned SUV in Captain America: The Winter Soldier. According to Agents of S.H.I.E.L.D. Wikia, it is called mouse hole, to help agents cut an escape route through any material. Skye was able to verify that the symbol that appears in the obelisk is the same one she is researching for Coulson. It is revealed that Lance Hunter and Isabelle Hartley might have relationship. He requested Talbot for her proper burial. We are finally able to see how the Director's Toolbox work. It's like a computer that works like a 3-D projector. The technology used with this tool box is similar to what Tony Stark uses in his lab as shown in the movies. This tool box might be compliments of Stark Industries. 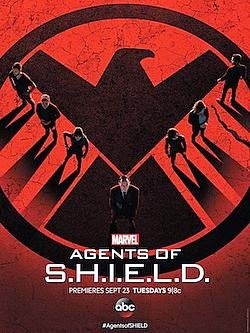 It looks like there is a new group that will complicate things for Coulson as Raina appears on this episode. Although she helps Coulson find Creel, she has her own agenda to pursue and was able to get the obelisk. Raina is shown working with the man with the bloody hands. This looks like the same person she approached during the season finale and informed her about her daughter. Who is this man with the bloody hands? Is he really Skye's father? Skye's origin could be told in this season. This might be the same person Grant Ward wanted to tell Skye. It looks like that the obelisk has different ways of reacting to different people. It petrified Hartley's hand. Although partially protected with rubber hands, Creel absorbed its power and in turn, he totally petrified the waitress. When Raina touched it, it just showed the symbols like Braille. As explained by the man with bloody hands, the obelisk let her touch it. Does this mean that the obelisk is sentient? Coulson need to release the stress by carving the mysterious diagrams and Agent May supervises him and documents it by taking photographs of it. One of the effects of GH-325 is the subconscious drawing of mysterious diagrams possibly alien in origin. We may expect Skye to exhibit the same symptoms in the future. Garett was also injected by a synthetic version of this drug and also shown drawing the mysterious diagrams but this time happened at shorter period after injection as compared to Coulson's that only manifested recently. This may be due to the fact that Garett used a synthetic version of GH-325.